Piedmont Airlines on July 4, 2018, as planned, operated the last revenue flights for the de Havilland Canada (Bombardier) DHC-8 Dash 8. The final flight was flight AA/PDT 4927 from the Charlotte hub (below) to Salisbury, MD via a stop at New Bern, NC. Above Copyright Photo: N330EN departs from Charlotte. American Eagle (2nd)-Piedmont Airlines (2nd) Bombardier DHC-8-311 Dash 8 (Q300) N330EN (msn 274) CLT (Trent Sellers). Image: 942660. Flight AA/PDT 4927 arrived at 20:40 (8:40 pm) local time at Wicomico Regional Airport in Salisbury-Ocean City, MD. The sunset flight ended an era at the company. The pictured DHC-8-311 N330EN (msn 274) operated the last Dash 8 revenue flight for Piedmont Airlines/Henson Aviation. This was also the last prop aircraft operated under the American Eagle brand. American Eagle carriers are now all-jet operations. We laughed, we cried, we celebrated, we remembered, but most of all we came together. Thank you to everyone who shared their memories of this incredible aircraft. It may be gone from our operation, but it will certainly not be forgotten. The end of an era simply means the start of a new one. We cannot wait to create a new legacy and share it with all of you. 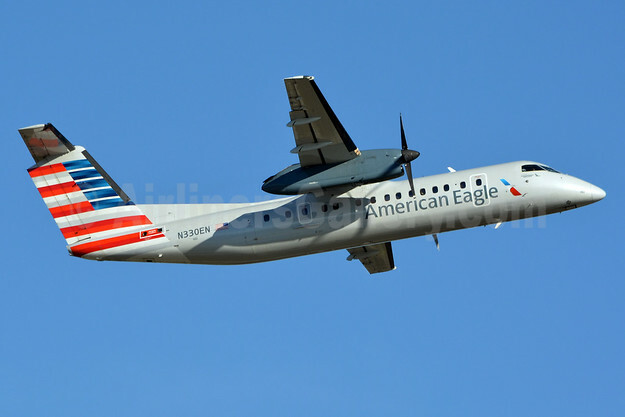 Top Copyright Photo (all other images by Piedmont Airlines): American Eagle (2nd)-Piedmont Airlines (2nd) Bombardier DHC-8-311 Dash 8 (Q300) N330EN (msn 274) CLT (Jay Selman). Image: 402842. 1 legacy, 7 liveries and a lifetime of memories. Watch the video below to view our Dash 8 Documentary. Whether you’re catching one of our last flights or watching from across the world, we are endlessly thankful for the shared stories and beautiful photos of this incredible aircraft. To the Dash 8, you will certainly be missed. 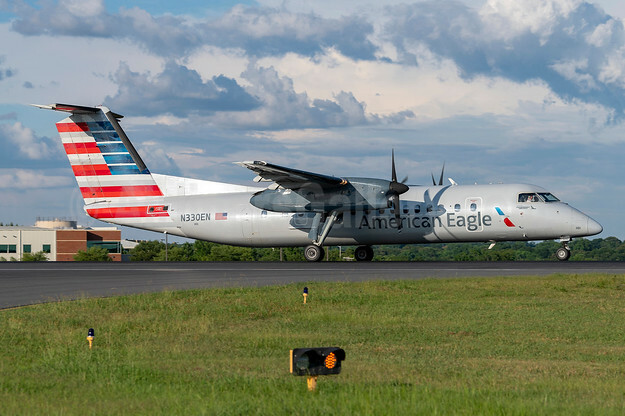 This entry was posted in American Eagle-Piedmont Airlines (2nd), Piedmont Airlines (2nd) and tagged American Eagle (2nd)-Piedmont Airlines (2nd), Bombardier DHC-8-311 Dash 8 (Q300), Charlotte, CLT, msn 274, N330EN on July 5, 2018 by Bruce Drum.